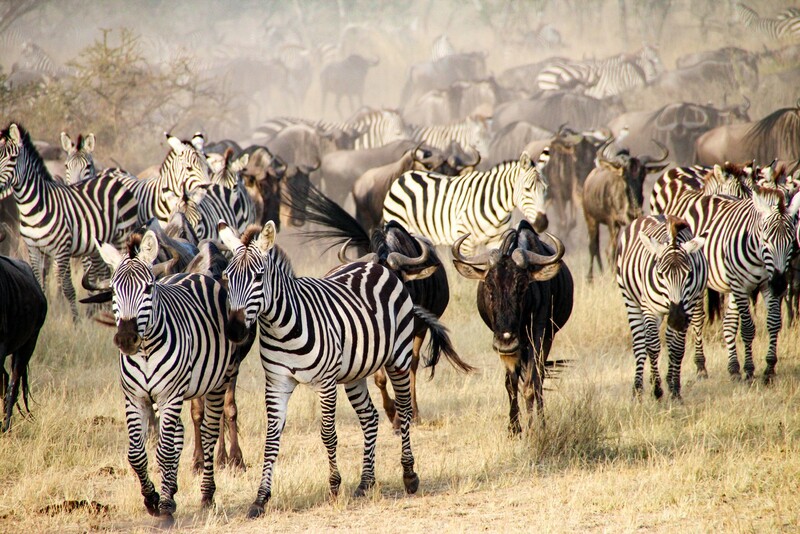 The Great Migration refers to the annual migration of vast numbers of wildebeest, zebra and other animals within the Serengeti/Mara ecosystem - Serengeti on the Tanzanian side, Mara on the Kenyan side. It is a more or less continuous movement through the year, as the animals look for fresh pasture, overcoming numerous obstacles as they travel. Whilst following a reasonably predictable pattern, the precise movement is dependent on rainfall patterns each year, and can never be guaranteed. However, after speaking with our Kenyan and Tanzanian local experts here are our suggestions of where are the best places to see the migration through the year. From January to March, the herds converge on the short grass plains of the southern Serengeti to give birth - there's safety in numbers. In March they start to move north-west to Kusini and the Seronera Valley in the southern and central Serengeti areas. As the 'big rains' come, the herds make their way to the banks of the Serengeti's Grumeti River. They tend to arrive by the beginning of June and can be seen crossing throughout the month. Its incredibly dramatic to watch, as the adults and their various calves/fawns risk the jaws of waiting crocodiles as well as being swept away by river waters swollen by the recent rains. 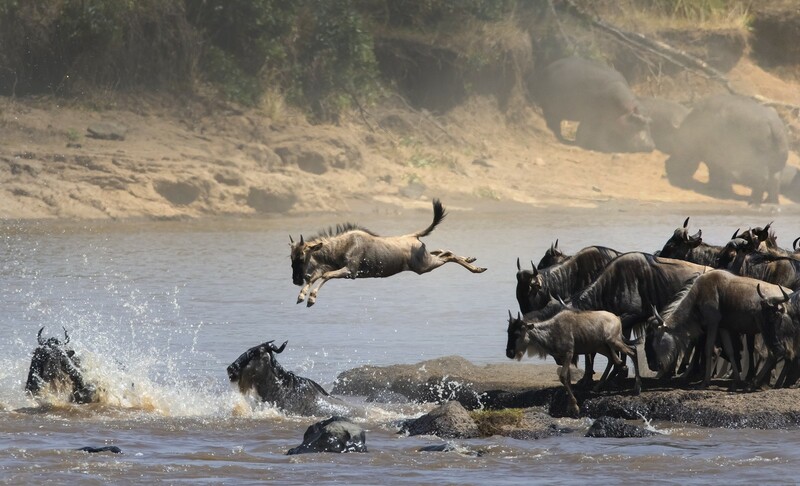 July is arguably the best time to see dramatic river crossings as the herds converge on the Mara River. 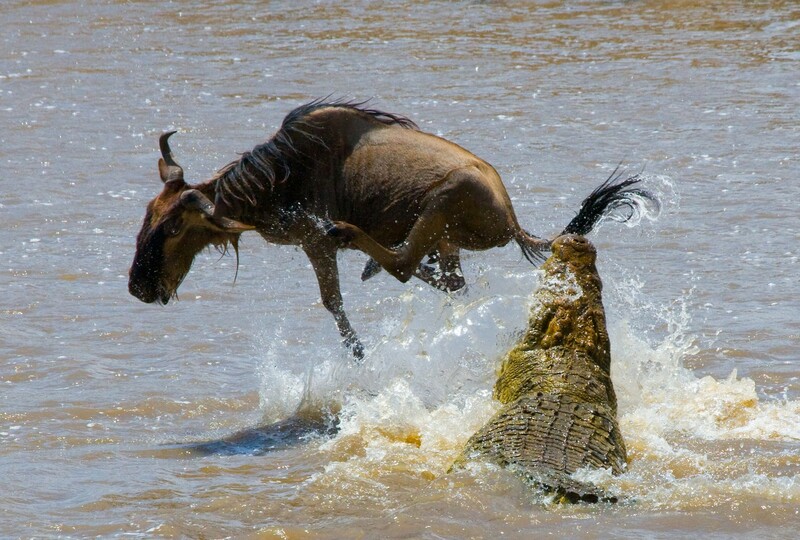 This is the geographic boundary between Tanzania's Serengeti and Kenya's Masai Mara and is perhaps the most treacherous crossing that the grazers face, as lions linger along the banks and crocodiles lurk in the muddy waters, waiting for the unwary to stray across their path. If you visit from August to October, you can continue to see the herds crossing and recrossing the Mara River as they search for fresh pastures. As it becomes time to give birth once again, the herds cross the Mara for the final time and move back south through the Serengeti, having covered over a thousand miles. 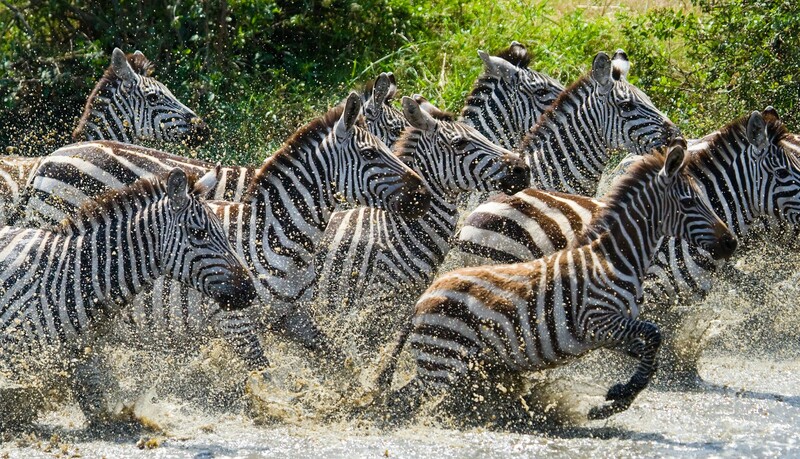 If you would like to take a safari holiday to see the Great Migration, then speak to our local experts in Tanzania and Kenya. They will use their local expertise combined with your wishes to create your perfect tailor-made safari holiday. To speak to someone in the TravelLocal office, please call +44 (0) 117 325 7898.